US 50 to SR 56 to Rising Sun to E. Enterprise, R on SR 250 (approx 7 miles) to Left on Kappes lane to house sign on. 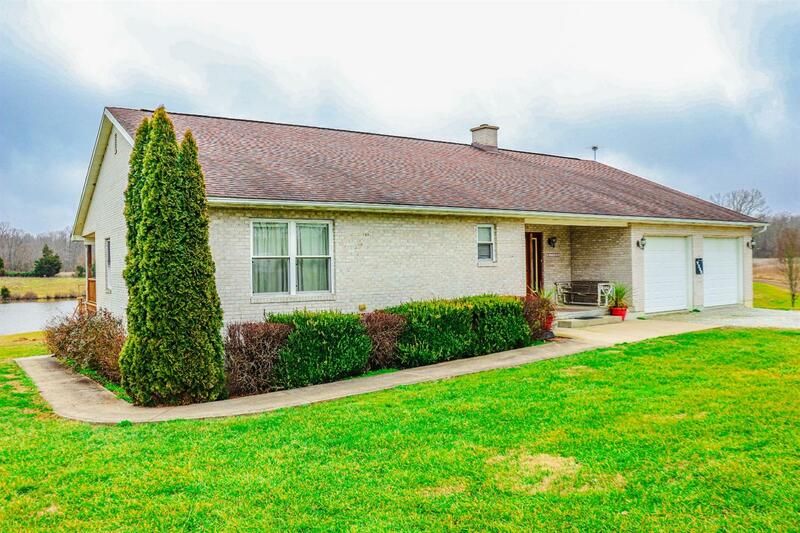 Well matain 3 bd/ 3 bath full brick ranch w/ an open flr plan, including a 1st flr laundry. Lower level w/o patio w/ a large bdrm - full bath. Wood stove and plenty more room to finish your way. Over look 8+ acre fishing lake stocked w/ crappie, bass, blue gill & catfish.Lg Barn, Pol barn 30x60. Woods & 50 acres tillable MOTIVATED SELLER.